Sorcery is the act of embodying some specialized theoretical and practical premises about the nature and role of perception in molding the universe around us. Our world is only one in a cluster of consecutive worlds, arranged like the layers of an onion. Even though we have been energetically conditioned to perceive solely our world, we still have the capability of entering into those other realms, which are as real, unique, absolute, and engulfing as our own world is. For us to perceive those other realms, not only do we have to covet them but we need to have sufficient energy to seize them. Their existence is constant and independent of our awareness, but their inaccessibility is entirely a consequence of our energetic conditioning. In other words, simply and solely because of that conditioning, we are compelled to assume that the world of daily life is the one and only possible world. Believing that our energetic conditioning is correctable, sorcerers of ancient times developed a set of practices designed to recondition our energetic capabilities to perceive. They called this set of practices the art of dreaming . It’s the gateway to infinity. Dreaming instruction is divided into two parts. One is about dreaming procedures, the other about the purely abstract explanations of these procedures: an interplay between enticing one’s intellectual curiosity with the abstract principles of dreaming and guiding one to seek an outlet in its practices. The human psyche is infinitely more complex than our mundane or academic reasoning has led us to believe. The second attention is an energetic configuration of awareness. In order to appreciate the position of dreamers and dreaming , one has to understand the struggle of modern-day sorcerers to steer sorcery away from concreteness toward the abstract. Concreteness is the practical part of sorcery. The obsessive fixation of the mind on practices and techniques. And the unwarranted influence over people. The abstract is the search for freedom, freedom to perceive, without obsessions, all that’s humanly possible. Present-day sorcerers seek the abstract because they seek freedom; they have no interest in concrete gains. After lifelong discipline and training, sorcerers acquire the capacity to perceive the essence of things, a capacity they call seeing . You have to separate it because it deliberately reduces the scope of what can be perceived and makes us believe that the mold into which we fit our perception is all that exists. For man to survive now, his perception must change at its social base. This social base of perception is the physical certainty that the world is made of concrete objects. I call this a social base because a serious and fierce effort is put out by everybody to guide us to perceive the world the way we do. Everything is energy. The whole universe is energy. The social base of our perception should be the physical certainty that energy is all there is. A mighty effort should be made to guide us to perceive energy as energy. Then we would have both alternatives at our fingertips. To train people in such a fashion is possible and this is precisely what I am doing with you. I am teaching you a new way of perceiving, first, by making you realize we process our perception to fit a mold and, second, by fiercely guiding you to perceive energy directly. This method is very much like the one used to teach us to perceive the world of daily affairs. Our entrapment in processing our perception to fit a social mold loses its power when we realize we have accepted this mold, as an inheritance from our ancestors, without bothering to examine it. To perceive a world of hard objects that had either a positive or a negative value must have been utterly necessary for our ancestors‘ survival. After ages of perceiving in such a manner, we are now forced to believe that the world is made up of objects. It is unquestionably a world of objects. To prove it, all we have to do is bump into them. We are not arguing that. I am saying that this is first a world of energy; then it’s a world of objects. If we don’t start with the premise that it is a world of energy, we’ll never be able to perceive energy directly. We’ll always be stopped by the physical certainty of the hardness of objects. Our way of perceiving is a predator’s way. There is another mode, the one I am familiarizing you with: the act of perceiving the essence of everything, energy itself, directly. To perceive the essence of everything will make us understand, classify, and describe the world in entirely new, more exciting, more sophisticated terms. Terms that correspond to sorcery truths, which have no rational foundation and no relation whatsoever to the facts of our daily world but which are self-evident truths for the sorcerers who perceive energy directly and see the essence of everything. For such sorcerers, the most significant act of sorcery is to see the essence of the universe. The essence of the universe resembles incandescent threads stretched into infinity in every conceivable direction, luminous filaments that are conscious of themselves in ways impossible for the human mind to comprehend. From seeing the essence of the universe, sorcerers go on to see the energy essence of human beings and depict human beings as bright shapes that resemble giant eggs and call them luminous eggs. When sorcerers see a human being they see a giant, luminous shape that floats, making, as it moves, a deep furrow in the energy of the earth, just as if the luminous shape had a taproot that was dragging. The decisive finding of the sorcerers of antiquity and the crucial feature of human beings as luminous balls, is a round spot of intense brilliance, the size of a tennis ball, permanently lodged inside the luminous ball, flush with its surface, about two feet back from the crest of a person’s right shoulder blade. The luminous ball is much larger than the human body. The spot of intense brilliance is part of this ball of energy, and it is located on a place at the height of the shoulder blades, an arm’s length from a person’s back. The old sorcerers named it the assemblage point after seeing what it does. It makes us perceive. In human beings, perception is assembled there, on that point. Seeing that all living beings have such a point of brilliance, the old sorcerers surmised that perception in general must take place on that spot, in whatever pertinent manner. What they saw that made them conclude that perception takes place on the assemblage point was first, that out of the millions of the universe’s luminous energy filaments passing through the entire luminous ball, only a small number pass directly through the assemblage point, as should be expected since it is small in comparison with the whole. Next, they saw that a spherical extra glow, slightly bigger than the assemblage point, always surrounds it, greatly intensifying the luminosity of the filaments passing directly through that glow. Finally, they saw two things. One, that the assemblage points of human beings can dislodge themselves from the spot where they are usually located. And, two, that when the assemblage point is on its habitual position, perception and awareness seem to be normal, judging by the normal behavior of the subjects being observed. But when their assemblage points and surrounding glowing spheres are on a different position than the habitual one, their unusual behavior seems to be the proof that their awareness is different, that they are perceiving in an unfamiliar manner. The conclusion the old sorcerers drew from all this was that the greater the displacement of the assemblage point from its customary position, the more unusual the consequent behavior and, evidently, the consequent awareness and perception. Notice that when I talk about seeing , I always say „having the appearance of“ or „seemed like.“ Everything one sees is so unique that there is no way to talk about it except by comparing it to something known to us. The most adequate example of this difficulty is the way sorcerers talk about the assemblage point and the glow that surrounds it. They describe them as brightness, yet it cannot be brightness, because seers see them without their eyes. They have to fill out the difference, however, and say that the assemblage point is a spot of light and that around it there is a halo, a glow. We are so visual, so ruled by our predator’s perception, that everything we see must be rendered in terms of what the predator’s eye normally sees. After seeing what the assemblage point and its surrounding glow seemed to be doing, the old sorcerers advanced an explanation. They proposed that in human beings the assemblage point, by focusing its glowing sphere on the universe’s filaments of energy that pass directly through it, automatically and without premeditation assembles those filaments into a steady perception of the world. How those filaments are assembled into a steady perception of the world, no one can possibly know. Sorcerers see the movement of energy, but just seeing the movement of energy cannot tell them how or why energy moves. Seeing that millions of conscious energy filaments pass through the assemblage point, the old sorcerers postulated that in passing through it they come together, amassed by the glow that surrounds it. After seeing that the glow is extremely dim in people who have been rendered unconscious or are about to die, and that it is totally absent from corpses, they were convinced that this glow is awareness. The assemblage point and its surrounding glow are the mark of life and consciousness. The inescapable conclusion of the sorcerers of antiquity was that awareness and perception go together and are tied to the assemblage point and the glow that surrounds it. I can’t explain to you why, but there is no way sorcerers can be mistaken about their seeing . Now the conclusions they arrive at from their seeing might be wrong, but that would be because they are naive, uncultivated. In order to avoid this disaster, sorcerers have to cultivate their minds, in whatever form they can. It certainly would be infinitely safer for sorcerers to remain solely at the level of describing what they see , but the temptation to conclude and explain, even if only to oneself, is far too great to resist. When the assemblage point is displaced to another position, a new conglomerate of millions of luminous energy filaments come together on that point. The sorcerers of antiquity saw this and concluded that since the glow of awareness is always present wherever the assemblage point is, perception is automatically assembled there. Because of the different position of the assemblage point, the resulting world, however, cannot be our world of daily affairs. The old sorcerers were capable of distinguishing two types of assemblage point displacement. One was a displacement to any position on the surface or in the interior of the luminous ball; this displacement they called a shift of the assemblage point. The other was a displacement to a position outside the luminous ball; they called this displacement a movement of the assemblage point. They found out that the difference between a shift and a movement was the nature of the perception each allows. Since the shifts of the assemblage point are displacements within the luminous ball, the worlds engendered by them, no matter how bizarre or wondrous or unbelievable they might be, are still worlds within the human domain. The human domain is the energy filaments that pass through the entire luminous ball. By contrast, movements of the assemblage point, since they are displacements to positions outside the luminous ball, engage filaments of energy that are beyond the human realm. Perceiving such filaments engenders worlds that are beyond comprehension, inconceivable worlds with no trace of human antecedents in them. This business of the assemblage point is an idea so farfetched, so inadmissible that there is only one thing for you to do. See the assemblage point! It isn’t that difficult to see . The difficulty is in breaking the retaining wall we all have in our minds that holds us in place. To break it, all we need is energy. Once we have energy, seeing happens to us by itself. The trick is in abandoning our fort of self-complacency and false security. It is just a matter of having energy. The hard part is convincing yourself that it can be done. For this, you need to trust the nagual. The marvel of sorcery is that every sorcerer has to prove everything with his own experience. I am telling you about the principles of sorcery not with the hope that you will memorize them but with the hope that you will practice them. Our link is with the spirit itself and only incidentally with the man who brings us its message. The assemblage point has nothing to do with what we normally perceive as the body. It’s part of the luminous egg, which is our energy self. It is displaced through energy currents. Jolts of energy, originating outside or inside our energy shape. These are usually unpredictable currents that happen randomly, but with sorcerers they are very predictable currents that obey the sorcerer’s intent . Every sorcerer feels them. Every human being does, for that matter, but average human beings are too busy with their own pursuits to pay any attention to feelings like that. When the assemblage point moves outside the energy shape it pushes the contours of the energy shape out, without breaking its energy boundaries. The end result of a movement of the assemblage point is a total change in the energy shape of a human being. Instead of a ball or an egg, he becomes something resembling a smoking pipe. The tip of the stem is the assemblage point, and the bowl of the pipe is what remains of the luminous ball. If the assemblage point keeps on moving, a moment comes when the luminous ball becomes a thin line of energy. What makes mankind homogeneous is the fact that we are all luminous balls. 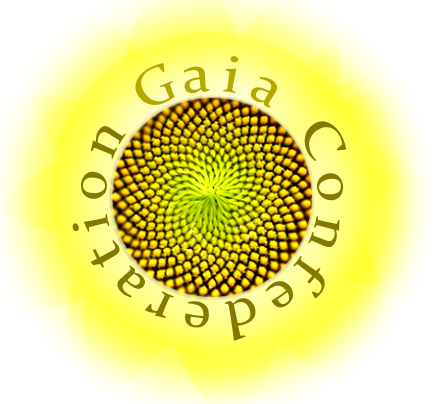 Another topic of our explanations is the indispensability of energetic uniformity and cohesion for the purpose of perceiving. Mankind perceives the world we know, in the terms we do, only because we share energetic uniformity and cohesion. We automatically attain these two conditions of energy in the course of our rearing. They are so taken for granted we do not realize their vital importance until we are faced with the possibility of perceiving worlds other than the world we know. At those moments, it becomes evident that we need a new appropriate energetic uniformity and cohesion to perceive coherently and totally. Man’s energetic shape has uniformity in the sense that every human being on earth has the form of a ball or an egg. And the fact that man’s energy holds itself together as a ball or an egg proves it has cohesion. An example of a new uniformity and cohesion is the old sorcerers‘ energetic shape when it became a line: every one of them uniformly became a line and cohesively remained a line. Uniformity and cohesion at a line level permitted those old sorcerers to perceive a homogeneous new world. The key to acquiring uniformity and cohesion is the position of the assemblage point, or rather the fixation of the assemblage point. Those old sorcerers could have reverted to being egglike but they did not. And then the line cohesion set in and made it impossible for them to go back. What really crystallized that line cohesion and prevented them but making the journey back was a matter of choice and greed. The scope of what those sorcerers were able to perceive and do as lines of energy was astronomically greater than what an average man or any average sorcerer can do or perceive. The human domain when one is an energy ball is whatever energy filaments pass through the space within the ball’s boundaries. Normally, we perceive not all the human domain but perhaps only one thousandth of it. If we take this into consideration, the enormity of what the old sorcerers did becomes apparent; they extended themselves into a line a thousand times the size of a man as an energy ball and perceived all the energy filaments that passed through that line. Make a giant effort to understand the new model of energy configuration I am outlining for you. To understand all this certainly isn’t an exercise for your reason. I have no way of explaining what sorcerers mean by filaments inside and outside the human shape. When seers see the human energy shape, they see one single ball of energy. If there is another ball next to it, the other ball is seen again as a single ball of energy. The idea of a multitude of luminous balls comes from our knowledge of human crowds. In the universe of energy, there are only single individuals, alone, surrounded by the boundless. You must see that for yourself. To rearrange uniformity and cohesion means to enter into the second attention by retaining the assemblage point on its new position and keeping it from sliding back to its original spot. The old sorcerers called the result of fixing the assemblage point on new positions the second attention. And they treated the second attention as an area of all-inclusive activity, just as the attention of the daily world is. Sorcerers really have two complete areas for their endeavors: a small one, called the first attention or the awareness of our daily world or the fixation of the assemblage point on its habitual position; and a much larger area, the second attention or the awareness of other worlds or the fixation of the assemblage point on each of an enormous number of new positions. Every time anyone enters into the second attention, the assemblage point is on a different position. To remember that experience, then, means to relocate the assemblage point on the exact position it occupied at the time those entrances into the second attention occurred. Not only do sorcerers have total and absolute recall but they relive every experience they had in the second attention by this act of returning their assemblage point to each of those specific positions. Sorcerers dedicate a lifetime to fulfilling this task of remembering. Learning something in the second attention is just like learning when we were children. What we learn remains with us for live. Entering into the second attention forces you to sustain, for long periods of time, new positions of your assemblage point and to perceive coherently in them, that is to say, it forces you to rearrange your uniformity and cohesion. The assemblage point becomes very easily displaced during sleep. Dreams are totally associated with that displacement. The greater the displacement, the more unusual the dream or vice versa: the more unusual the dream, the greater the displacement. Sorcerers view dreaming as an extremely sophisticated art; the art of displacing the assemblage point at will from its habitual position in order to enhance and enlarge the scope of what can be perceived. The art of dreaming is anchored on five conditions in the energy flow of human beings. seems to be a sensation–a process in our bodies, an awareness in our minds.
. Only the energy filaments that pass directly through the assemblage point can be assembled into coherent perception. If the assemblage point is displaced to another position, no matter how minute the displacement, different and unaccustomed energy filaments begin to pass through it, engaging awareness and forcing the assembling of these unaccustomed energy fields into a steady, coherent perception. In the course of ordinary dreams, the assemblage point becomes easily displaced by itself to another position on the surface or in the interior of the luminous egg. The assemblage point can be made to move to positions outside the luminous egg, into the energy filaments of the universe at large. Through discipline it is possible to cultivate and perform, in the course of sleep and ordinary dreams, a systematic displacement of the assemblage point. As a preamble to the first lesson in dreaming , I will talk about the second attention as a progression: beginning as an idea that comes to us more like a curiosity than an actual possibility; turning into something that can only be felt, as a sensation is felt; and finally evolving into a state of being, or a realm of practicalities, or a preeminent force that opens for us worlds beyond our wildest fantasies. Being a by-product of a displacement of the assemblage point, the second attention does not happen naturally but must be intended, beginning with intending it as an idea and ending up with intending it as a steady and controlled awareness of the assemblage points displacement. The first step to power is to set up dreaming . To set up dreaming means to have a precise and practical command over the general situation of a dream. This control is no different from the control we have over any situation in our daily lives. Sorcerers are used to it and get it every time they want or need to. In order for you to get used to it yourself I taught you to look at your hands while dreaming . Explanations always call for deep thought. But when you actually dream, be as light as a feather. Dreaming has to be performed with integrity and seriousness, but in the midst of laughter and with the confidence of someone who doesn’t have a worry in the world. Only under these conditions can our dreams actually be turned into dreaming . I selected your hands as something to look for in your dreams because they will always be there. Looking for anything else is just as valid provided that you pick one thing in advance and stay with it night after night until you succeed in finding it. The goal of the exercise is not finding a specific thing but engaging your dreaming attention. The dreaming attention is the control one acquires over one’s dreams upon fixating the assemblage point on any new position to which it has been displaced during dreams. The dreaming attention is an incomprehensible facet of awareness that exists by itself, waiting for a moment when we would entice it, a moment when we would give it purpose; it is a veiled faculty that every one of us has in reserve but never has the opportunity to use in everyday life. There are seven gates and dreamers have to open all seven of them, one at a time. There are entrances and exits in the energy flow of the universe. In the specific case of dreaming , there are seven entrances, experienced as obstacles, which sorcerers call the seven gates of dreaming . The first gate is a threshold we must cross by becoming aware of a particular sensation before deep sleep. A sensation which is like a pleasant heaviness that doesn’t let us open our eyes. We reach that gate the instant we become aware that we’re falling asleep, suspended in darkness and heaviness. There are no steps to follow. One just intends to become aware of falling asleep. Intent or intending is something very difficult to talk about. I or anyone else would sound idiotic trying to explain it. Bear that in mind when you hear what I have to say next: sorcerers intend anything they set themselves to intend , simply by intending it. For sorcerers, because the statement I made pertains to intent and intending , understanding it pertains to the realm of energy. Sorcerers believe that if one would intend that statement for the energy body, the energy body would understand it in terms entirely different from those of the mind. The trick is to reach the energy body. For that you need energy. The energy body would understand that statement in terms of a bodily feeling, which is hard to describe. You’ll have to experience it to know what I mean. Intending is a subject not for your reason but for your energy body. At this point, you can’t yet comprehend the import of all this, not only because you don’t have sufficient energy but because you’re not intending anything. If you were, your energy body would comprehend immediately that the only way to intend is by focusing your intent on whatever you want to intend . The goal of dreaming is to intend the energy body. In this particular instance, since we’re talking about the first gate of dreaming , the goal of dreaming is to intend that your energy body becomes aware that you are falling asleep. Don’t try to force yourself to be aware of falling asleep. Let your energy body do it. To intend is to wish without wishing, to do without doing. Accept the challenge of intending . Put your silent determination, without a single thought, into convincing yourself that you have reached your energy body and that you are a dreamer . Doing this will automatically put you in the position to be aware that you are falling asleep. When you hear that you have to convince yourself, you automatically become more rational. How can you convince yourself you are a dreamer when you know you are not? Intending is both: the act of convincing yourself you are indeed a dreamer , although you have never dreamt before, and the act of being convinced. I don’t mean you have to tell yourself you are a dreamer and try your best to believe it. It isn’t that. Intending is much simpler and, at the same time, infinitely more complex than that. It requires imagination, discipline, and purpose. In this case, to intend means that you get an unquestionable bodily knowledge that you are a dreamer . You feel you are a dreamer with all the cells of your body. You must reach your energy body on your own. Intending the first gate of dreaming is one of the means discovered by the sorcerers of antiquity for reaching the second attention and the energy body. To ask a dreamer to find a determined item in his dreams is a subterfuge. The real issue is to become aware that one is falling asleep. And, strange as it may seem, that doesn’t happen by commanding oneself to be aware that one is falling asleep but by sustaining the sight of whatever one is looking at in a dream. attention on something specific, it is only as a point of departure. From there, Dreamers take quick, deliberate glances at everything present in a dream. If they focus their dreamingdreamers move on to look at other items in the dream’s content, returning to the point of departure as many times as possible. The difference between the dreaming attention and the second attention is that the second attention is like an ocean, and the dreaming attention is like a river feeding into it. The second attention is the condition of being aware of total worlds, total like our world is total, while the dreaming attention is the condition of being aware of the items of our dreams. The dreaming attention is the key to every movement in the sorcerers‘ world. Among the multitude of items in our dreams, there exist real energetic interferences, things that have been put in our dreams extraneously, by an alien force. To be able to find them and follow them is sorcery. Dreams are, if not a door, a hatch into other worlds. As such, dreams are a two-way street. Our awareness goes through that hatch into other realms, and those other realms send scouts into our dreams. Those scouts are energy charges that get mixed with the items of our normal dreams. They are bursts of foreign energy that come into our dreams, and we interpret them as items familiar or unfamiliar to us. Dreams are a hatch into other realms of perception. Through that hatch, currents of unfamiliar energy seep in. Then the mind or the brain or whatever takes those currents of energy and turns them into parts of our dreams. Sorcerers are aware of those currents of foreign energy. They notice them and strive to isolate them from the normal items of their dreams. Sorcerers have a scrounging method. They intelligently redeploy their energy by cutting down anything they consider superfluous in their lives. They call this method the sorcerers‘ way. In essence, the sorcerers‘ way is a chain of behavioral choices for dealing with the world, choices much more intelligent than those our progenitors taught us. These sorcerers‘ choices are designed to revamp our lives by altering our basic reactions about being alive. Don’t merely think about what I have told you. Turn my concepts into a viable way of life by a process of repetition. Everything new in our lives, such as the sorcerers‘ concepts I am teaching you, must be repeated to us to the point of exhaustion before we open ourselves to it. Repetition is the way our progenitors socialized us to function in the daily world. The sorcerers‘ way is the best means to oil, so to speak, the wheels of energy redeployment. Of all the items in the sorcerers‘ way, the most effective is losing self-importance . This is indispensable for everything sorcerers do, and for this reason I put an enormous emphasis on guiding all my students to fulfill this requirement. Self-importance is not only the sorcerer’s supreme enemy but the nemesis of mankind. With inorganic beings, the secret is not to fear them. And this must be done from the beginning. The intent one has to send out to them has to be of power and abandon. In that intent one must encode the message „I don’t fear you. Come to see me. If you do, I’ll welcome you. If you don’t want to come, I’ll miss you.“ With a message like this, they’ll get so curious that they’ll come for sure. In matters of the inorganic beings, I am nearly a novice. I refused that part of the sorcerers‘ knowledge on the ground that it is too cumbersome and capricious. I don’t want to be at the mercy of any entity, organic or inorganic. I neither approve of that realm nor like it. It belongs to another mood, the old sorcerers‘ mood. Besides, its teachings and guidance in our world are nonsense. And for that nonsense the emissary charges us enormities in terms of energy. We are back again, harping on the most important topic of the sorcerers‘ world; the position of the assemblage point. The old sorcerers‘ curse, as well as mankind’s thorn in the side. I say that because both, mankind in general and the old sorcerers, fell prey to the position of the assemblage point: mankind, because by not knowing that the assemblage point exists we are obliged to take the by-product of its habitual position as something final and indisputable. And the old sorcerers because, although they knew all about the assemblage point, they fell for its facility to be manipulated. You must avoid falling into those traps. Different worlds exist in the position of the assemblage point. You will have two choices. One, to follow mankind’s rationales and be faced with a predicament: your experience will tell you that other worlds exist, but your reason will say that such worlds do not and cannot exist. The other, to follow the old sorcerers‘ rationales, in which case you will automatically accept the existence of other worlds, and your greed alone will make your assemblage point hold on to the position that creates those worlds. The result would be another kind of predicament: that of having to move physically into visionlike realms, driven by expectations of power and gain. So then, is the goal of my teaching to prepare you to go into those worlds? No. I don’t mean that. We go into those worlds only as an exercise. Those journeys are the antecedents of the sorcerers of today. We do the same dreaming that the old sorcerers used to do, but at one moment we deviate into new ground. The old sorcerers preferred the shifts of the assemblage point, so they were always on more or less known, predictable ground. We prefer the movements of the assemblage point. The old sorcerers were after the human unknown. We are after the nonhuman unknown. You haven’t gotten to that yet. You are only beginning. And at the beginning everyone has to go through the old sorcerers‘ steps. After all, they were the ones who invented dreaming . Dreamers, by contrast, have fewer barriers and fewer scouts in their dreams. It seems that in dreamers ‚ dreams nonsensical things disappear, perhaps to ensure that dreamers catch the presence of scouts. Remember, the realm of inorganic beings was the old sorcerers‘ field. To get there, they tenaciously fixed their dreaming attention on the items of their dreams. In that fashion, they were able to isolate the scouts. And when they had the scouts in focus, they voiced their intent to follow them. The instant the old sorcerers voiced that intent , off they went, pulled by that foreign energy. The diabolical nature of the inorganic beings‘ realm is that it might very well be the only sanctuary dreamers have in a hostile universe. revamping. If we choose to recondition our interpretation system, reality becomes fluid, and the scope of what can be real is enhanced without endangering the integrity of reality. To revamp our interpretation system means to intend its reconditioning. It means that one deliberately and carefully attempts to enlarge its capabilities. By living in accordance with the sorcerers‘ way, dreamers save and store the necessary energy to suspend judgment and thus facilitate that intendedDreaming , then, indeed opens the door into other aspects of what is real. Inorganic beings hook onto dreamers ‚ innermost feelings and play them mercilessly. They create phantoms to please dreamers or frighten them. Inorganic beings are superb projectionists, who delight in projecting themselves like pictures on the wall. The old sorcerers portrayed the inorganic beings‘ world as a blob of caverns and pores floating in some dark space. And they portrayed the inorganic beings as hollow canes bound together, like the cells of our bodies. Every dreamer sees that world in the same terms; as it is. The awareness of sorcerers grows when they do dreaming . And the moment it grows, something out there acknowledges its growth, recognizes it and makes a bid for it. The inorganic beings are the bidders for that new, enhanced awareness. Dreamers have to be forever on their toes. They are prey the moment they venture out in that predatorial universe. To be safe, you must be on your toes every second! Don’t let anything or anybody decide for you. That is to say, go to the inorganic beings‘ world only when you want to go. Once you isolate a scout, a tremendous pull may be exerted on you to go to the inorganic beings‘ world. You can consciously stop that pull of the scouts. Always remember, you can change the course of your dreaming by intending that course. It is absurd to trust the inorganic beings. They have their own rhythm, and it isn’t human. Sorcerers‘ maneuvers are deadly. I beseech you to be extraordinarily aware. Don’t get involved in having some idiotic confidence in yourself. Waking up in another dream or changing dreams is the drill devised by the old sorcerers to exercise a dreamer ’s capacity to isolate and follow a scout. Following a scout is a high accomplishment and when dreamers are able to perform it, the second gate is flung open and the universe that exists behind it becomes accessible to them. This universe is there all the time but we cannot go into it because we lack energetic prowess, and in essence, the second gate of dreaming is the door into the inorganic beings‘ world, and dreaming is the key that opens that door. If you fall, you pay the price, and the price depends on the circumstances and the depth of the fall. But there is really no way of talking about an eventuality of this sort, because we are not facing a problem of punishment. Energetic currents are at stake here, energetic currents which create circumstances that are more dreadful than death. Everything in the sorcerers‘ path is a matter of life or death, but in the path of dreaming this matter is enhanced a hundred fold. If dreaming is overemphasized, it becomes what it was for the old sorcerers: a source of inexhaustible indulging. You must exercise all the care you are able to muster up. The old sorcerers‘ flaw was that they took to the inorganic beings‘ realm like fish take to water. When dreamers realize that the inorganic beings have no appeal it is usually too late for them, because by then the inorganic beings have them in the bag. The inorganic beings are like fishermen; they attract and catch awareness. The position of the assemblage point is like a vault where sorcerers keep their records. Sorcerers are capable of leaving accurate records of their findings in the position of the assemblage point. When it comes to getting to the essence of a written account, we have to use our sense of sympathetic or imaginative participation to go beyond the mere page into the experience itself. However, in the sorcerers‘ world, since there are no written pages, total records, which can be relived instead of read, are left in the position of the assemblage point. The recapitulation consists of reliving the totality of one’s life experiences by remembering every possible minute detail of them. It’s the essential factor in a dreamer ’s redefinition and redeployment of energy. The recapitulation sets free energy imprisoned within us, and without this liberated energy dreaming is not possible. The recapitulation is coupled with a natural, rhythmical breathing. Long exhalations are performed as the head moves gently and slowly from right to left; and long inhalations are taken as the head moves back from left to right. This act of moving the head from side to side is called „fanning the event.“ The mind examines the event from beginning to end while the body fans, on and on, everything the mind focuses on. The old sorcerers‘ rationale behind the recapitulation was their conviction that there is an inconceivable dissolving force in the universe, which makes organisms live by lending them awareness. That force also makes organisms die, in order to extract the same lent awareness, which organisms have enhanced through their life experiences. The old sorcerers believed that since it is our life experience this force is after, it is of supreme importance that it can be satisfied with a facsimile of our life experience: the recapitulation. Having had what it seeks, the dissolving force then lets sorcerers go, free to expand their capacity to perceive and reach with it the confines of time and space. There is a second round of the recapitulation. It consists of a new recapitulation pattern. Construct a jigsaw puzzle by recapitulating, without any apparent order, different events of your life. It’ll be a mess if you let your pettiness choose the events you are going to recapitulate. Instead, let the spirit decide. Be silent, and then get to the event the spirit points out. There are two basic rounds to the recapitulation, the first is called formality and rigidity, and the second fluidity. When dreaming you are seeing your body you have to establish some valid guide to find out whether you are actually seeing your body asleep in your bed. Remember, you must be in your actual room, seeing your actual body. Otherwise, what you are having is merely a dream. If that’s the case, control that dream, either by observing its detail or by changing it. Figure out a way to validate the fact that you are looking at yourself. Use your own judgment. Dreamers have to be imaginative to move their energy bodies. Sorcerers say that at the third gate the entire energy body can move like energy moves: fast and directly. Their energy bodies know exactly how to move. They can move as they move in the inorganic beings‘ world. When your energy body learns to move by itself, you’ll be thoroughly out of the inorganic beings‘ reach. Be impeccable. I have told you this dozens of times. To be impeccable means to put your life on the line in order to back up your decisions, and then to do quite a lot more than your best to realize those decisions. When you are not deciding anything, you are merely playing roulette with your life in a helter-skelter way. Instead of struggling to walk in dreaming , one wills oneself to move. It takes sorcerers forever to learn to move the energy body with their own volition. Once you’ve learned how to move your energy body by yourself, you should continue moving. Moving your energy body opens up a new area of extraordinary exploration. Again, one must come up with an idea to validate the faithfulness of one’s dreams. To be transported by a scout is the real dreaming task of the second gate. It is a very serious matter, but not as serious as forging and moving the energy body. Therefore, when the time comes, you have to make sure, by some means of your own, whether you are actually seeing yourself asleep or whether you are merely dreaming that you’re seeing yourself asleep. One’s new extraordinary exploration hinges on really seeing oneself asleep. Dreamers take a very long time to perfect their energy bodies. And this is exactly what’s at stake here: perfecting your energy body. The reason the energy body is compelled to examine detail and get inextricably stuck in it is its inexperience, its incompleteness. Sorcerers spend a lifetime consolidating the energy body by letting it sponge up everything possible. Until the energy body is complete and mature, it is self-absorbed. It can’t get free from the compulsion to be absorbed by everything. But if one takes this into consideration, instead of fighting the energy body, one can lend it a hand by directing its behavior, that is to say, by stalking it. Since everything related to the energy body depends on the appropriate position of the assemblage point, and since dreaming is nothing else but the means to displace it, stalking is, consequently, the way to make the assemblage point stay put on the perfect position, in this case, the position where the energy body can become consolidated and from which it can finally emerge. The moment the energy body can move on its own, sorcerers assume that the optimum position of the assemblage point has been reached. The next step is to stalk it, that is, to fixate it on that position in order to complete the energy body. The procedure is simplicity itself. One intends to stalk it. Let your energy body intend to reach the optimum dreaming position . Then, let your energy body intend to stay at that position and you will be stalking . Intending is the secret. Sorcerers displace their assemblage points through intending and fixate them, equally, through intending . And there is no technique for intending . One intends through usage. The ideal spot and the fixation of the assemblage point are metaphors. They have nothing to do with the words used to describe them. What comes next is a sorcerer’s gem, the real task; seeing energy in your dreaming with your energy body. Dreamers have a rule of thumb. If their energy body is complete, they see energy every time they gaze at an item in the daily world. In dreams, if they see the energy of an item, they know they are dealing with a real world, no matter how distorted that world may appear to their dreaming attention. If they can’t see the energy of an item, they are in an ordinary dream and not in a real world. What is a real world? A world that generates energy; the opposite of a phantom world of projections, where nothing generates energy, like most of our dreams, where nothing has an energetic effect. Another definition of dreaming is: a process by which dreamers isolate dream conditions in which they can find energy-generating elements. Dreaming is the process by which we intend to find adequate positions of the assemblage point, positions that permit us to perceive energy-generating items in dreamlike states. The energy body is also capable of perceiving energy that is quite different from the energy of our own world, as in the case of items of the inorganic beings‘ realm, which the energy body perceives as sizzling energy. In our world nothing sizzles; everything here wavers. From a certain point the issue of your dreaming will be to determine whether the items on which you focus your dreaming attention are energy generating, mere phantom projections, or generators of foreign energy. Seeing energy is the gauge to determine whether or not you are observing your real body asleep. In order to see in dreaming not only do you have to intend seeing but you have to put your intent into words. You have to speak up. There are other means to accomplish the same result, but voicing one’s intent is one of the simplest and most direct way. You need to have patience. You are learning to do something extraordinary, you are learning to intend to see in your dreams. Someday you will not have to voice your intent ; you’ll simply will it, silently. If nothing happens when you voice your intent to see it means that your dream is an ordinary dream; phantom projections; images that have life only in your dreaming attention. Don’t give up or get discouraged. Keep on trying. Sooner or later, you’ll hit the right note. The drill for the third gate of dreaming is to make the energy body move on its own. In special dreams, our dreaming attention focuses on the daily world, and it moves instantly from one real object to another in the world. What makes this movement possible is that the assemblage point is on the proper dreaming position . From that position, the assemblage point gives the dreaming attention such fluidity that it can move in a split second over incredible distances, and in doing so it produces a perception so fast, so fleeting that it resembles an ordinary dream. When your energy body is complete and functioning, the implication that you see energy in your dream is that you are perceiving a real world, through the veil of a dream. Unless we see in dreaming , we can’t tell a real, energy-generating thing from a phantom projection. The world is like an onion, it has many skins. The world we know is but one of them. Sometimes, we cross boundaries and enter into another skin: another world, very much like this one, but not the same. In the view of sorcerers, the universe is constructed in layers, which the energy body can cross. Do you know where the old sorcerers are still existing to this day? In another layer, in another skin of the onion. The idea of a real, pragmatic journey, taken in dreams, is very difficult to understand or to accept. The journey of the energy body depends exclusively on the position of the assemblage point. Our problem is our cynicism. Cynicism doesn’t allow us to make drastic changes in our understanding of the world. It also forces us to feel that we are always right. I propose that you do one nonsensical thing that might turn the tide. Repeat to yourself incessantly that the hinge of sorcery is the mystery of the assemblage point. If you repeat this to yourself long enough, some unseen force takes over and makes the appropriate changes in you. Cut your cynical attitude! Repeat this in a bona fide manner. The mystery of the assemblage point is everything in sorcery. Or rather, everything in sorcery rests on the manipulation of the assemblage point. You may know all this, but you have to repeat it. There is an enormous difference between the thoughts and deeds of the men of antiquity and those of modern men. The men of ancient times had a very realistic view of perception and awareness because their view stemmed from their observations of the universe around them. Modern men, in contrast, have an absurdly unrealistic view of perception and awareness because their view stems from their observations of the social order and from their dealings with it. You are a modern man involved with the views and observations of men of antiquity. And none of those views and observations are familiar to you. Now more than ever you need sobriety and aplomb. I am trying to make a solid bridge, a bridge you can walk on, between the views of men of ancient times and those of modern men. Of all the transcendental observations of the men of ancient times, the only one with which you are familiar, because it has filtered down to our day, is the idea of selling our souls to the devil in exchange for immortality, which sounds to me like something coming straight out of the relationship of the old sorcerers with the inorganic beings. Succumbing to the lure of the inorganic beings is not just an idea; it’s real. Dreaming , likewise, is real; it is an energy-generating condition. You hear my statements and you may understand what I mean, but your awareness hasn’t caught up with the total implication of it yet. with the greatest care and deliberation. When you believe you are just When you are fully aware of what an energy-generating condition means you will measure dreamingdreaming , you take blind chances. Faulty reasoning tells you that no matter what happens, at a given moment the dream will be over and you will wake up. I am talking to you about the views of men of antiquity and the views of modern man because your awareness, which is the awareness of modern man, prefers to deal with an unfamiliar concept as if it were an empty ideality. seriously, but you don’t quite believe in the reality of If I left it up to you, you’d regard dreaming as an idea. Of course, I’m sure you take dreamingdreaming . I am saying all this because the time will come when you are in the proper position to understand that dreaming is an energy-generating condition. Then, you will understand that ordinary dreams are the honing devices used to train the assemblage point to reach the position that creates this energy-generating condition we call dreaming . Since dreamers touch and enter real worlds of all-inclusive effects, they ought to be in a permanent state of the most intense and sustained alertness; any deviation from total alertness imperils the dreamer in ways more than dreadful. Regard dreaming as something extremely dangerous. And begin that now. When you can displace your assemblage point quickly and easily that ease can have the tendency to make the displacement erratic. Then you must bring that ease to order. And don’t allow yourself even a fraction of an inch leeway. Faithfully and daily repeat what I asked you to repeat, that everything in sorcery rests on the manipulation of the assemblage point. The results of your litany-like invocation will be incredible. It has the same effect on one’s awareness that exercise has on the muscles of the body. Your assemblage point becomes more agile, which means that seeing energy in dreaming becomes the sole goal of your practices. A moment then comes when you are able just to intend seeing , without saying a word, and actually experience the same result as when you voice out loud your intent to see . The energy of our world wavers. It scintillates. Not only living beings but everything in our world glimmers with an inner light of its own. The energy of our world consists of layers of shimmering hues. The top layer is whitish; another, immediately adjacent to it, is chartreuse; and another one, more distant yet, is amber. You will see glimmers of them whenever items that you encounter in your dreamlike states change shapes. However, a whitish glow is always the initial impact of seeing anything that generates energy. There is an endless number of different hues, but for the purposes of a beginning order, you should be concerned with those three. Later on, you can get as sophisticated as you want and isolate dozens of hues, if you are able to do it. The whitish layer is the hue of the present position of mankind’s assemblage point. Let’s say that it is a modern hue. Sorcerers believe that everything man does nowadays is tinted with that whitish glow. At another time, more distant yet, it made it amber. The color of sorcerers‘ energy is amber, which means that they are energetically associated with the men who existed in a distant past. The present whitish hue may change someday if man is capable of evolving. The grand task of sorcerers is to bring forth the idea that, in order to evolve, man must first free his awareness from its bindings to the social order. Once awareness is free, intent will redirect it into a new evolutionary path. Sorcerers have succeeded in that task. They themselves are the proof. To convince others of the value and import of evolving is another matter. The other kind of energy present in our world but alien to it is the scouts energy, the energy that sizzles. Bear in mind that not every scout you are going to find belongs to the realm of inorganic beings. Some of the scouts you will encounter are going to be not from the inorganic beings‘ realm but from other, even more distant levels of awareness. Since scouts are aware of themselves, they make contact with us when we are awake. But our great misfortune is to have our consciousness so fully engaged that we don’t have time to pay attention. In our sleep, however, the two-way-traffic trapdoor opens: we dream. And in our dreams, we make contact. The way to tell whether the scouts are from a level besides the inorganic beings‘ world is: the greater their sizzling, the farther they come from. It sounds simplistic, but you have to let your energy body tell you what is what. I assure you, it’ll make very fine distinctions and unerring judgments when faced with alien energy. Unless you know exactly what you are doing and what you want out of alien energy, you have to be content with a brief glance. Anything beyond a glance is as dangerous and as stupid as petting a rattlesnake. Scouts are always very aggressive and extremely daring. They have to be that way in order to prevail in their explorations. Sustaining our dreaming attention on them is tantamount to soliciting their awareness to focus on us. Once they focus their attention on us, we are compelled to go with them. And that, of course, is the danger. We may end up in worlds beyond our energetic possibilities. There are many types of scouts, but at a beginning level of energy one can only focus on three. The first two types are the easiest to spot. Their disguises in our dreams are so outlandish, that they immediately attract our dreaming attention. The scouts of the third type are the most dangerous, in terms of aggressiveness and power, and because they hide behind subtle disguises. One of the strangest things dreamers find, which you yourself will find, is this third type of scout. The most ferocious scout hides behind people in our dreams. It’s annoying that they are always associated with the dream images of our parents or close friends. Perhaps that’s why we often feel ill at ease when we dream of them. A rule of thumb for dreamers is to assume that the third type of scout is present whenever they feel perturbed by their parents or friends in a dream. Sound advice is to avoid those dream images. They are sheer poison. Blue energy doesn’t sizzle. It is like ours; it wavers, but it is blue instead of white. Blue energy doesn’t exist in a natural state in our world. The deadly scouts of the third type are bright orange. The inorganic beings only show themselves at the beginning. After their scouts take us to their world, there is no necessity for the inorganic beings‘ projections. If we want to see the inorganic beings, a scout takes us there. For no one, and I mean no one, can journey by himself to their realm. Their world is sealed. No one can enter or leave without the consent of the inorganic beings. The only thing you can do by yourself once you are inside is, of course, voice your intent to stay. To say it out loud means to set in motion currents of energy that are irreversible. In olden times, words were incredibly powerful. Now they are not. In the inorganic beings‘ realm, they haven’t lost their power. There is one last issue related to that world that we haven’t discussed. In the final analysis my aversion to the old sorcerers‘ activities is very personal. As a nagual, I detest what they did. They cowardly sought refuge in the inorganic beings‘ world. They argued that in a predatorial universe, poised to rip us apart, the only possible haven for us is in that realm. They believed that because it’s true. Since the inorganic beings can’t lie, the sales pitch of the dreaming emissary is all true. That world can give us shelter and prolong our awareness for nearly an eternity. When the emissary’s sales pitch, even if it’s the truth, has no appeal to you, and you are ready to chance a road that might rip you apart, you will be ready for this one final statement about that world. The most dreadful statement I can make. The energy necessary to move the assemblage points of sorcerers comes from the realm of inorganic beings. This is the truth and the legacy of the old sorcerers to us. The inorganic beings have us pinned down to this day. This is the reason I don’t like them. I resent having to dip into one source alone. Personally, I refuse to do it. And I am trying to steer you away from it. We can’t have dealings with them. And yet we can’t stay away from them. My solution has been to take their energy but not give into their influence. This is known as the ultimate stalking . It is done by sustaining the unbending intent of freedom, even though no sorcerer knows what freedom really is. The reason sorcerers have to take energy from the realm of inorganic beings is because there is no other viable energy for sorcerers. In order to maneuver the assemblage point in the manner they do, sorcerers need an inordinate amount of energy. As I’ve said, a redeployment of energy is necessary in order to do dreaming . To start dreaming sorcerers need to redefine their premises and save their energy, but that redefining is valid only to have the necessary energy to set up dreaming . To fly into other realms, to see energy, to forge the energy body, et cetera, et cetera, is another matter. For those maneuvers, sorcerers need loads of dark, alien energy. They take it from the inorganic beings‘ world by the mere act of going to that world. All the sorcerers of our line have to do this. Awareness is an endless area of exploration for sorcerers and man in general. In order to enhance awareness, there is no risk we should not run, no means we should refuse. Bear in mind, however, that only in soundness of mind can awareness be enhanced. I’m going to propose a line of action for you. It’s the last task of the third gate of dreaming , and it consists of stalking the stalkers , a most mysterious maneuver. To stalk the stalkers means to deliberately draw energy from the inorganic beings‘ realm in order to perform a sorcery feat. A journey–a journey that uses awareness as an element of the environment. In the world of daily life, water is an element of the environment that we use for traveling. Imagine awareness being a similar element that can be used for traveling. Through the medium of awareness, scouts from all over the universe come to us, and vice versa; via awareness, sorcerers go to the ends of the universe. Awareness is an energetic element. You have to make that distinction. For sorcerers who see , awareness is a glow. They can hitch their energy body to that glow and go with it. The difference between a physical and an energetic element is that physical elements are part of our interpretation system, and energetic elements are not. Energetic elements, like awareness, exist in our universe. But we, as average people, perceive only the physical elements because we were taught to do so. Sorcerers perceive the energetic elements for the same reason: they were taught to do so. The use of awareness as an energetic element of our environment is the essence of sorcery. In terms of practicalities, the trajectory of sorcery is, first, to free the existing energy in us by impeccably following the sorcerers‘ path; second, to use that energy to develop the energy body by means of dreaming ; and, third, to use awareness as an element of the environment in order to enter with the energy body and all our physicality into other worlds. There are two kinds of energy journeys into other worlds. One is when awareness picks up the sorcerer’s energy body and takes it wherever it may, and the other is when the sorcerer decides, in full consciousness, to use the avenue of awareness to make a journey. It takes an enormous discipline to do the second. In the life of sorcerers there are issues that require masterful handling, and dealing with awareness, as an energetic element open to the energy body, is the most important, vital, and dangerous of those issues. With enough energy you can perform the last task of the third gate of dreaming : to break the boundaries of the normal world and, using awareness as an energetic element, enter into another. This breaking and entering amounts to stalking the stalkers . Using awareness as an element of the environment bypasses the influence of the inorganic beings, but it still uses their energy. In a pinch, your energy body is perfectly capable of taking care of itself. Transferring awareness is purely a matter of voicing your intent and having the necessary amount of energy to tip the scales. That means to be able to add one’s total physical mass to the energy body. Using awareness as a medium to make the journey into another world is not the result of applying any techniques but is the corollary of intending and having enough energy to be energetically capable of pulling our physicality and placing it on the energy body in order to make that journey. In order to enter into that other world your total physical mass has to be added to your energy body. The great difficulty of this maneuver is to discipline the energy body. Lack of discipline is the only reason you may fail in performing this feat of ultimate stalking . Sometimes, as a fluke, an average person ends up performing it and entering into another world. But this is immediately explained away as insanity or hallucination. Forget the self and you will fear nothing. During an experience of stalking the stalkers one realizes that perceiving is an all-inclusive act when the assemblage point has been immobilized on one position. I have told you that the power our daily world has over us is a result of the fact that our assemblage point is immobile on its habitual position. This immobility is what makes our perception of the world so inclusive and overpowering that we cannot escape from it. If you want to break this totally inclusive force, all you have to do is dispel the fog, that is to say, displace the assemblage point by intending its displacement. You yourself will understand what I mean the moment you have to bring your assemblage point to another position in order to dispel that world’s fog which will begin to swallow you during a maneuver of stalking the stalkers . The reentry into our world is automatic if we don’t let the fog set in. Ordinarily dreamers experience the whole maneuver as a series of slow transitions, and they have to voice their intent to use awareness as an element. Ordinarily, dreamers are merely voyeurs. The old sorcerers‘ damnation was that the inorganic beings took them to worlds from which they could not return. Since they entered into that world with all their physicality, the fixation of their assemblage points on the position preselected by the inorganic beings was so overpowering that it created a sort of fog that obliterated any memory of the world they came from. The natural consequence of such an immobility, is that the dreamer ’s assemblage point cannot return to its habitual position. Think about this. Perhaps this is exactly what is happening to all of us in the world of daily life. We are here, and the fixation of our assemblage point is so overpowering that it has made us forget where we came from, and what our purpose was for coming here. The task is to sneak by the inorganic beings, not be run by them. Perhaps you will stalk the stalkers when you have the strength. Or perhaps you’ll never accomplish it. It doesn’t really matter; if one thing doesn’t work, another will. Sorcery is an endless challenge. In order to use awareness as an element of the environment, dreamers first have to make a journey to the inorganic beings‘ realm. Then they have to use that journey as a springboard, and, while they are in possession of the necessary dark energy, they have to intend to be hurled through the medium of awareness into another world. In your dreaming practices, see energy in energy-generating dreamlike states. When you are able to see everything that presents itself to you, you may become incapable of rendering intelligently what you see . It may be then, as though you have reached states of perception for which you have no lexicon. Such incomprehensible and indescribable visions would be your energy body using awareness as an element not for journeying, because you wouldn’t yet have enough energy, but for entering into the energy fields of inanimate matter or of living beings. At the fourth gate of dreaming , the energy body travels to specific, concrete places. There are three ways of using the fourth gate: one, to travel to concrete places in this world; two, to travel to concrete places out of this world; and, three, to travel to places that exist only in the intent of others. Whether or not you can cross the fourth gate by yourself is up to the spirit. Modern-day sorcerers have realized that only if they remain totally detached can they have the energy to be free. Theirs is a peculiar type of detachment, which is born not out of fear or indolence but out of conviction. Stretch your arms in front of you, to the sides, and then behind you. It relaxes the body. For modern-day sorcerers to perceive energy directly is a matter of personal attainment. We maneuver the assemblage point through self-discipline. Your energy body has endless resources. Modern-day sorcerers do not know the details of the thousands of possible positions of the assemblage point. By details I mean particular ways of treating the energy body in order to maintain the assemblage point fixed on specific positions. Most of the shifts modern-day sorcerers experience are mild shifts within a thin bundle of energetic luminous filaments inside the luminous egg, a bundle called the band of man, or the purely human aspect of the universe’s energy. Beyond that band, but still within the luminous egg, lies the realm of the grand shifts. When the assemblage point shifts to any spot on that area, perception is still comprehensible to us, but extremely detailed procedures are required for perception to be total. Every grand shift has different inner workings which modern sorcerers could learn if they knew how to fixate the assemblage point long enough at any grand shift. By inducing a systematic displacement of the assemblage point, dreaming liberates perception, enlarging the scope of what can be perceived. For the sorcerers of my party, dreaming has not only opened the doors of other perceivable worlds but prepared us for entering into those realms in full awareness. places his body is of key importance. The old sorcerers used to call this the twin positions. The initial position in which a The second attention has endless treasures to be discovered. The initial position in which the dreamerdreamer holds his physical body to begin dreaming is mirrored by the position in which he holds his energy body, in dreams, to fixate his assemblage point on any spot of his choosing. The two positions make a unit. The position in which one places the body is of utmost importance. Start your dreaming by lying on your right side, with your knees a bit bent. The discipline is to maintain that position and fall asleep in it. In dreaming , then, the exercise is to dream that you lie down in exactly the same position and fall asleep again. It makes the assemblage point stay put, and I mean really stay put, in whatever position it is at the instant of that second falling asleep. The result of this exercise is total perception. The four variations of the exercise are to fall asleep lying on the right side, the left, the back, and the stomach. Then in dreaming the exercise is to dream of falling asleep a second time in the same position as the dreaming had been started. I came from a line of sorcerers who knew how to move about in the second attention by projecting their intent . They practiced the art of projecting their thoughts in dreaming in order to accomplish the truthful reproduction of any object or structure or landmark or scenery of their choice. The sorcerers of my line used to start by gazing at a simple object and memorizing every detail of it. They would then close their eyes and visualize the object and correct their visualization against the true object until they could see it, in its completeness, with their eyes shut. The next thing in their developing scheme was to dream with the object and create in the dream, from the point of view of their own perception, a total materialization of the object. This act is called the first step to total perception. From a simple object, those sorcerers went on to take more and more complex items. Their final aim was for all of them together to visualize a total world, then dream that world and thus re-create a totally veritable realm where they could exist. When any of the sorcerers of my line were able to do that they could easily pull anyone into their intent , into their dream. Whole populations disappeared dreaming like that. It’s possible because they visualized and then re-created in dreaming the same scenery. To cross the fourth gate and travel to places that exist only in someone else’s intent is perilous, since every item in such a dream has to be an ultimately personal item. The essence of my explanation is that if you were, for instance, dreaming of your hometown and your dream had started when you lay down on your right side, you could very easily stay in the town of your dream if you would lie on your right side, in the dream, and dream that you had fallen asleep. The second dream not only would necessarily be a dream of your hometown, but would be the most concrete dream one can imagine. The only way to have absolute control of dreams is to use the technique of the twin positions. And don’t ask me why. It just happens. Like everything else. The thought of evil cannot withstand examination. In the universe only energy exists; evil is merely a concatenation of the human mind, overwhelmed by the fixation of the assemblage point on its habitual position. Logically, there is really nothing to be afraid of. There is no past or future in the universe. There is only the moment. Think for a moment, in the universe there is only energy, and energy has only a here and now, an endless and ever-present here and now. The secret of the twin positions is that the second dream is intending in the second attention: the only way to cross the fourth gate of dreaming . To make a dream an all-inclusive reality is the art of the old sorcerers. This is dreaming . You should know by now that its transactions are final. 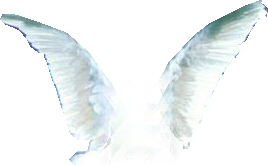 You have been given an abstract gift: the possibility of flying on the wings of intent attention must be systematically exercised, for it is the door to the second attention. attention. This additional control makes one more daring. Such confidence is very scary because it is the confidence of a fool. learns to isolate and follow the foreign energy scouts. the transfer of the total awareness of your daily world to your energy body..